Professor of Bioengineering, University of Pittsburgh and Adjunct Research Professor, Robotics Institute, CMU. MD, State University of New York, Health Science Center at Syracuse, 1991; PhD (Biomedical Engineering), University of North Carolina at Chapel Hill, 1999. Dr. Stetten’s current research interests include image-guided surgery using an ultrasound device he invented called the Sonic Flashlight, and various adaptations of the underlying principle of in-situ image guidance, including one based on Optical Coherence Tomography for microsurgery. 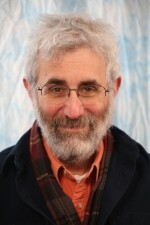 In addition, he is developing image analysis techniques for automated identification and measurement of anatomical structures, and was a founding member of the National Library of Medicine’s Insight Toolkit for image segmentation and registration. He has invented a technology called FingerSight for the vision impaired, which involves fingertip video cameras linked to vibratory stimulators. He is also developing a new surgical tool that magnifies the sense of touch, enabling the surgeon to feel forces during delicate procedures. His teaching efforts include the development of a new open-standard testing format, enabling instructors to create and score their own multiple choice exams, called LaTeX Open-Format Testing (LOFT) and a student-built electronics instrumentation package called the PittKit. He is the founding director of the Music Engineering Laboratory in the School of Engineering and teaches a new honors course in the Engineering Foundations of Music.